Product #15462 | SKU W58DIGULTCLR | 0.0 (no ratings yet) Thanks for your rating! 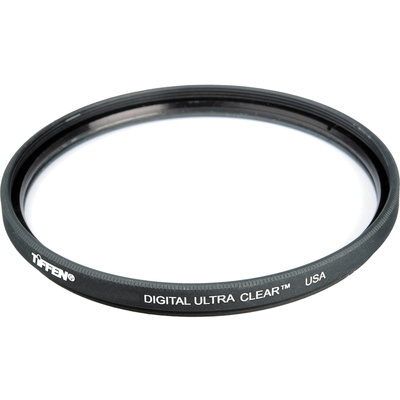 The Tiffen 58mm Digital Ultra Clear Filter is a simple, clear filter designed for general protection for your lens. This optically clear filter does not affect the overall image quality while helping reduce dust, scratches, moisture, and other elements from damaging your lens. Its Water White glass construction is optically pure and maintains consistent light transmission and clarity. Clear filter offers general protection for your lens against the elements. Water White glass is optically pure for providing notable image fidelity and clarity.